Firefighters from New Jersey and New York to Indiana are pushing through the brutally cold temperatures to do their jobs. 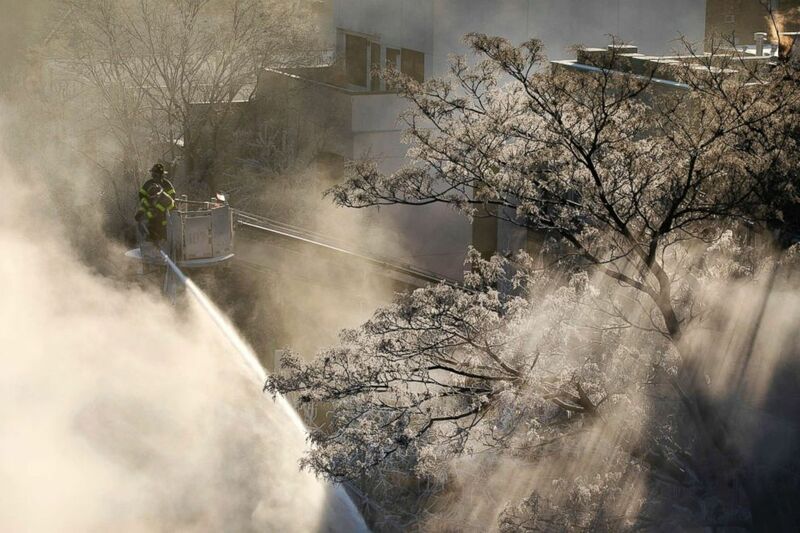 Ice forms on tree branches as New York firefighters battle a blaze in a commercial building in the Bedford Stuyvesant neighborhood of Brooklyn, Jan. 31, 2019, in N.Y.
More than a dozen fire companies work at the scene of a fire at Lindy’s Paving warehouse, Jan. 31, 2019, in Big Beaver Township, Pa. 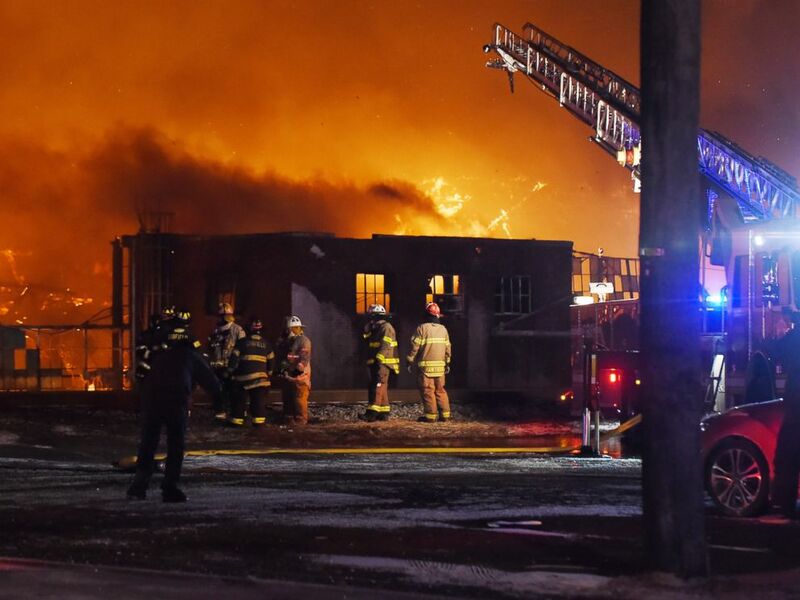 In New Jersey, a monstrous fire broke out Wednesday night at a paper mill in Elmwood Park. The fire was so massive people that people flying into Newark International Airport could see it. More than 150 firefighters descended on the scene. The temperature hovered near 4 degrees, with a wind chill of negative 12. The fire was under control early Thursday morning, officials said. No one was injured, officials added. Firefighters battle a four alarm fire at the Marcal paper factory in Elmwood Park, N.J., Jan. 30, 2019. 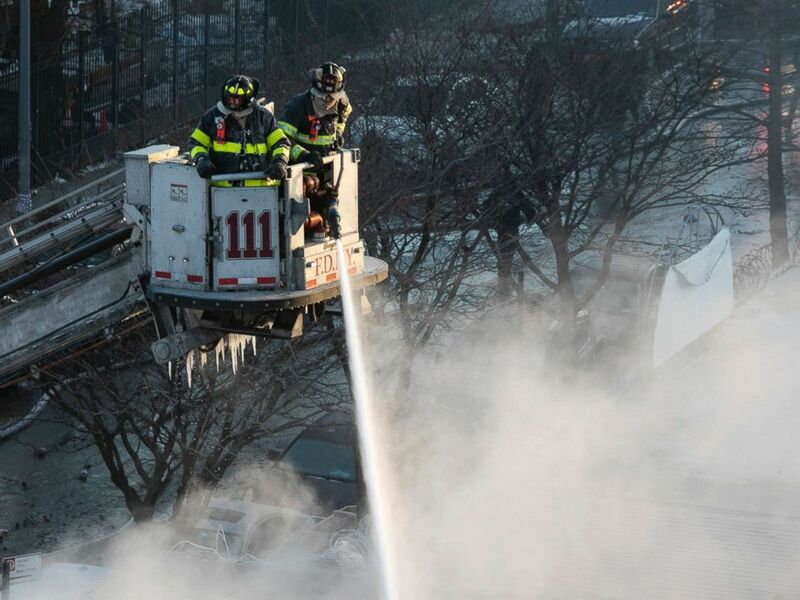 In New York City, where temperatures plunged to 2 degrees, the coldest of the year, a 5-alarm fire in Brooklyn posed «challenging conditions for our firefighters,» the New York City Fire Department tweeted. No injuries were reported. New York firefighters battle a blaze in a commercial building in the Bedford Stuyvesant neighborhood of Brooklyn, Jan. 31, 2019 in N.Y. In the Philadelphia area, where the temperature was 5 degrees, firefighters had to use a blow torch to thaw out frozen fire hydrants. Firefighters also struggled in the Midwest. 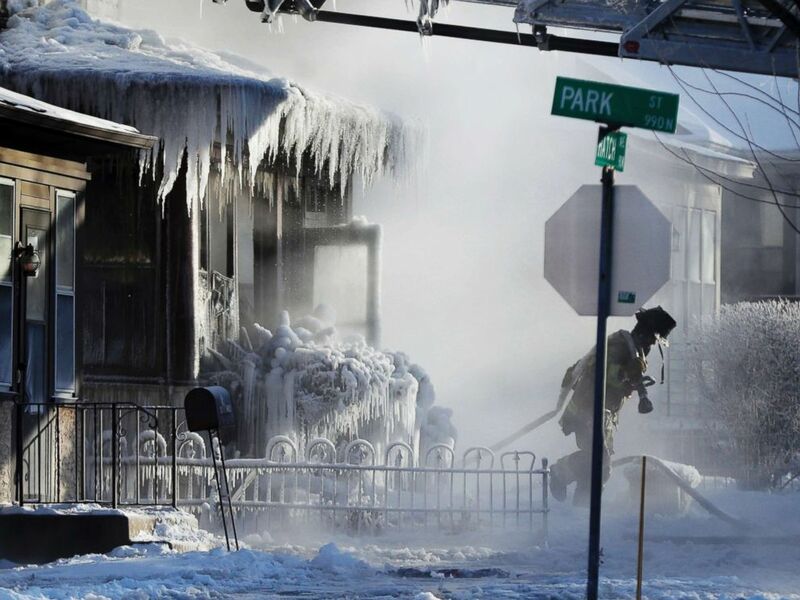 St. Paul firefighters at the scene of a house fire during a arctic deep freeze, Jan. 30, 2019, in St. Paul, Minn. 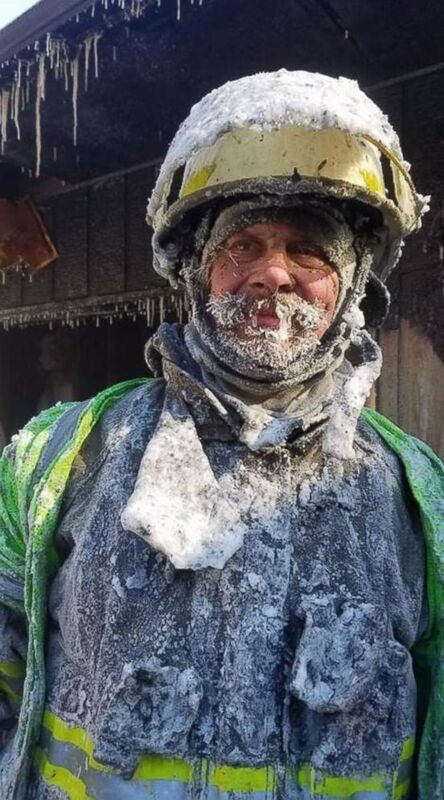 In Cameron, Wisconsin, where the wind chill fell to minus 52 Wednesday, fire chief Mitch Hansen looked more like an ice sculpture after fighting a fire. Fire Chief Mitch Hansen in Cameron, Wis., on Wednesday, Jan. 30, 2019, after battling a house fire in minus 50 wind chills. The overspray from the hoses was hitting firefighters as ice pellets. 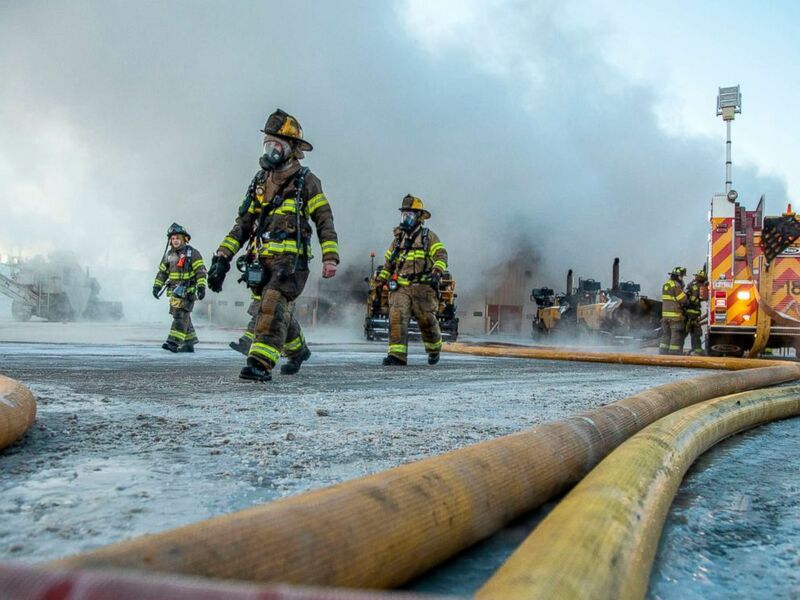 And in Plainfield, Indiana, frozen crews fought an unrelenting blaze at a trash facility, leaving fire equipment coated with ice. «The weather and large amount of trash is making this a daunting task,» the Plainfield Fire Territory said on Facebook.